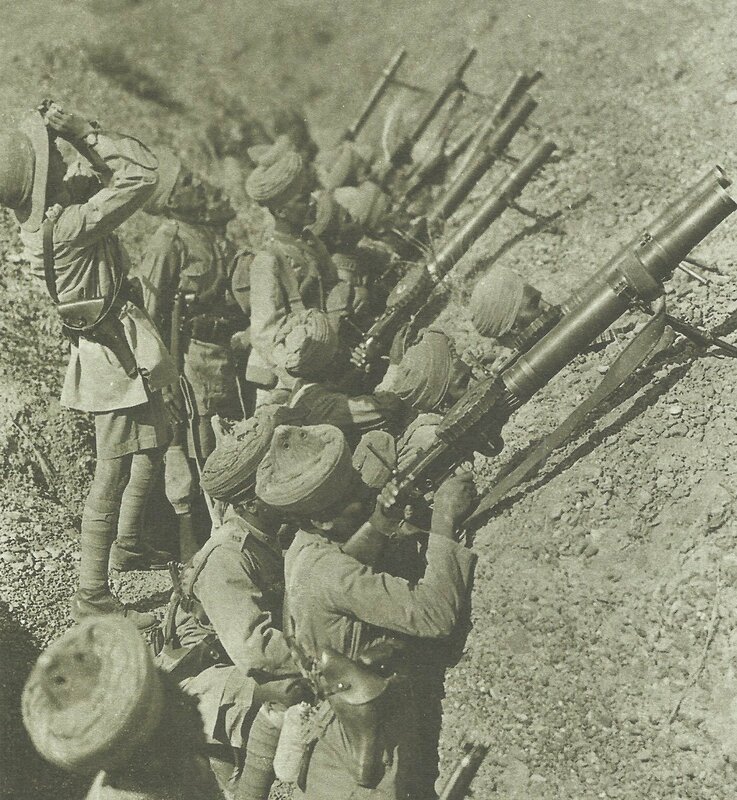 Indian soldiers with Lewis machine guns in anti-aircraft role in the Middle East. Mesopotamia: Turk 45th Division breaks through British line (over 650 casualties) but gradually forced back to Tigris south bank until night January 18-19. British Cavalry Division occupies Hai town, but inhabitants attack, it is retiring on January 14. Sinai: War Cabinet cables Murray to defer large-scale operations in Palestine till later in year. Arabia: King Hussein finally declines British troops. Eastern Mediterranean: Seaplane carrier HMS Ben-my-Chree sunk in Kastelorizo Island harbour by Turk guns off Southwest Asia Minor (more shelling of French island base on February 27). British implement dispersal and coasting system in Eastern Mediterranean to try and cut shipping losses, causes friction with French. Germany: Turco-German Settlement Treaty signed at Berlin. Austro-German note to neutrals and Vatican disclaims blame for war’s continuation. Montenegro: Second proposal for union with Serbia; General Martinovic succeeds Radovic as Prime Minister.